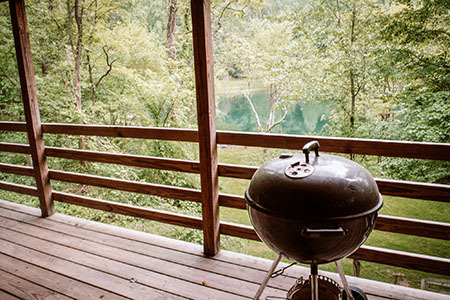 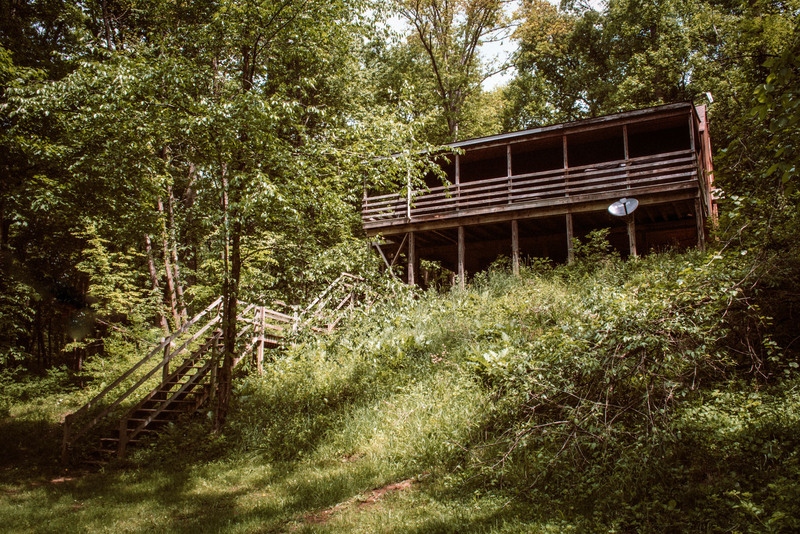 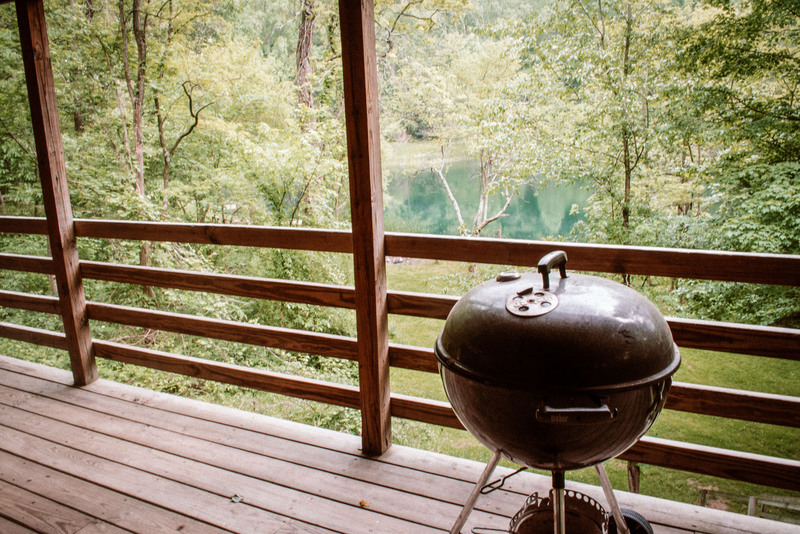 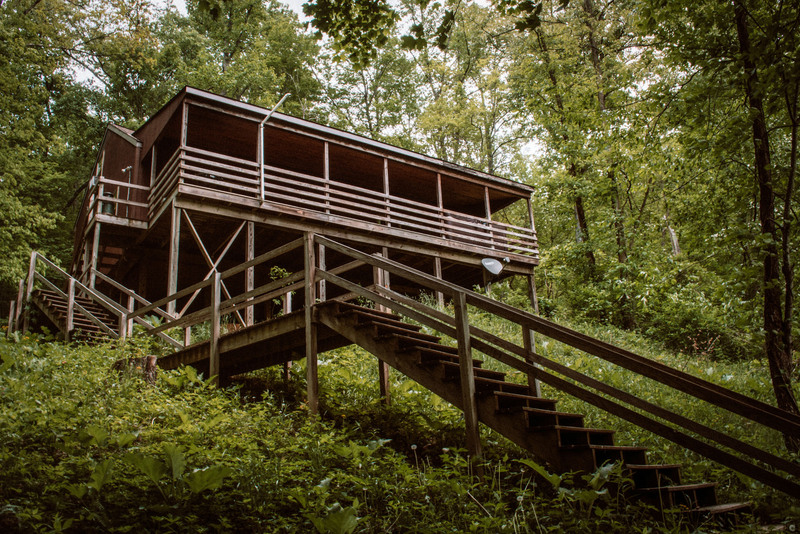 Built in 2001, the Hillside cabin, which is 35 yards from the lake, can sleep up to eight people. The kitchen, dining, and family area, provide an open living space. 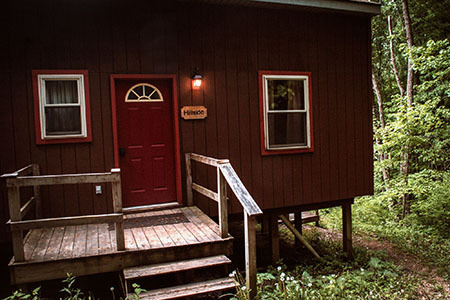 Direct TV is also provided in the cabin. 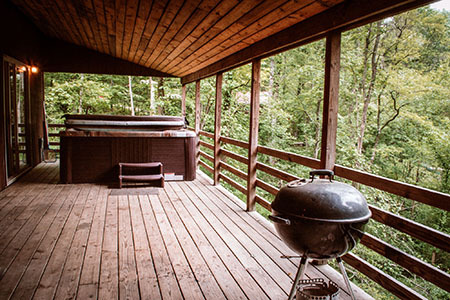 The two sets of sliding glass doors open to the covered deck, which houses the hot tub and patio furniture. The master bedroom has a queen-size bed, the second bedroom has a queen as well. 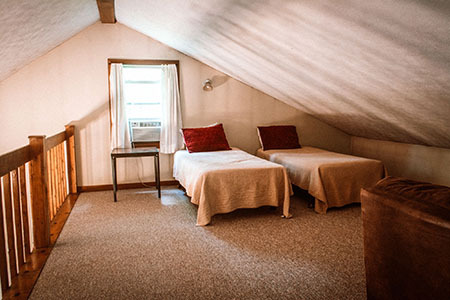 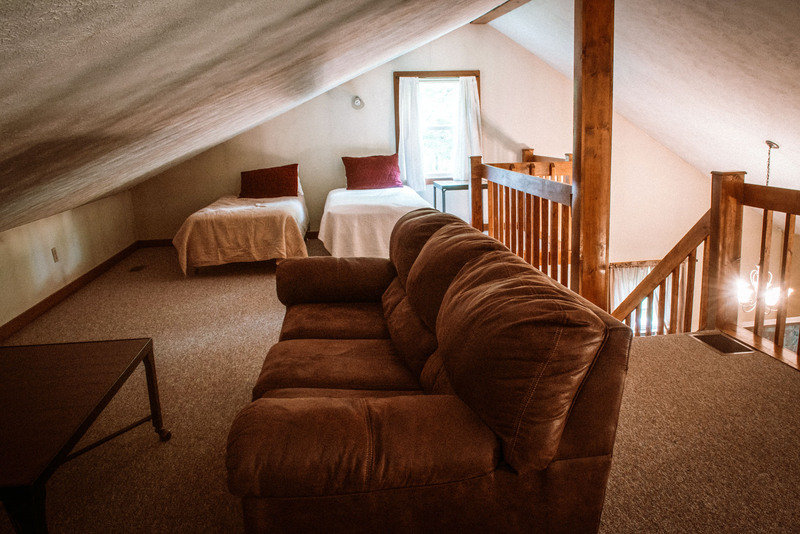 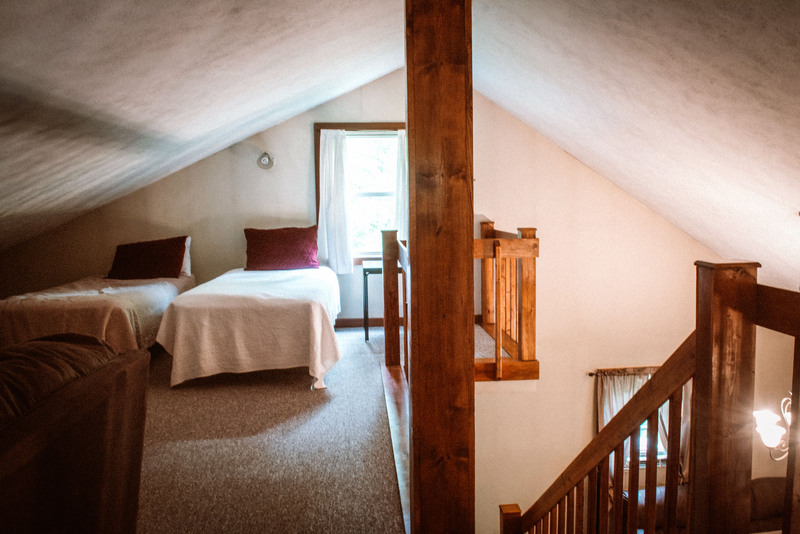 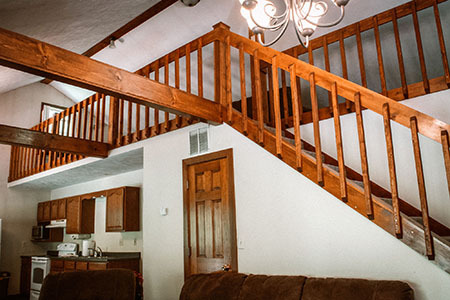 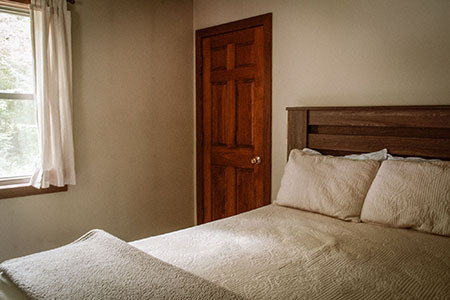 The loft has four twin beds, two beds (one beside another) located on each end of the loft which can be slid together to accommodate couples, with a sitting area in the center. 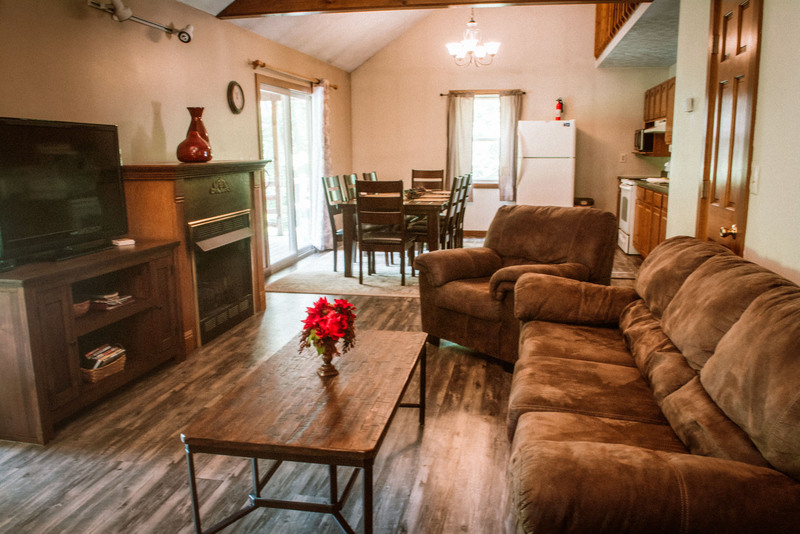 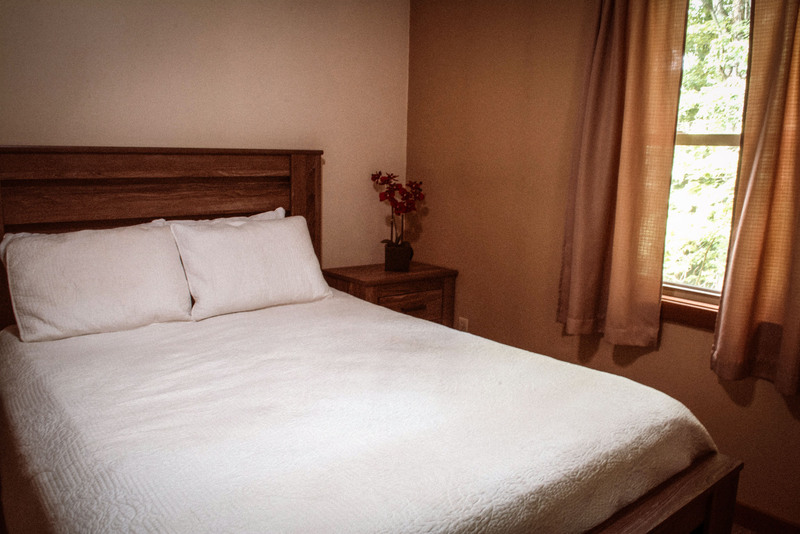 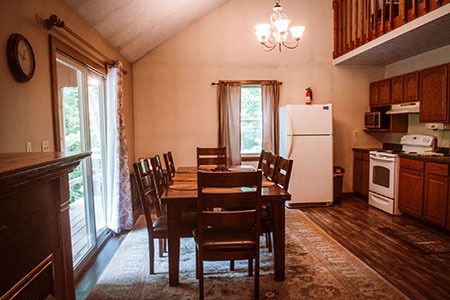 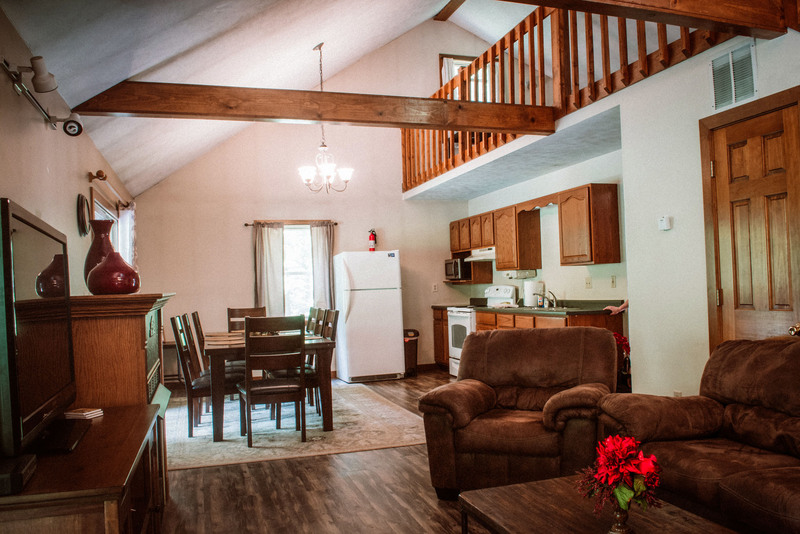 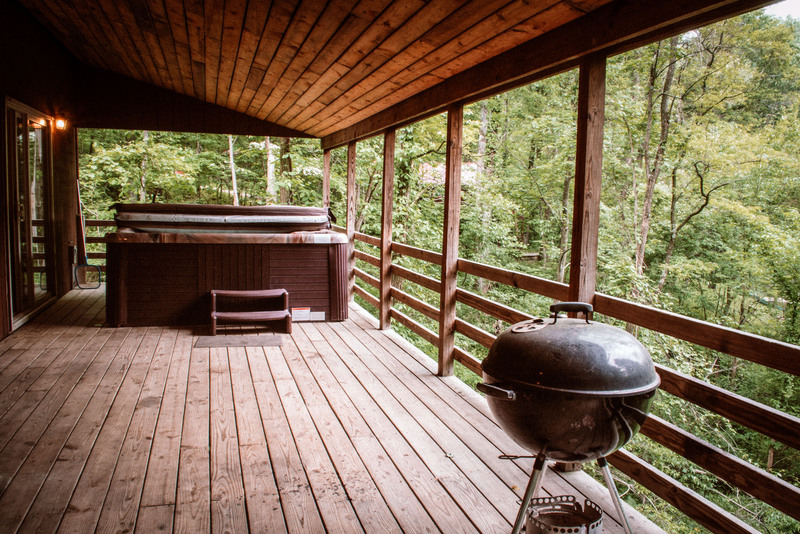 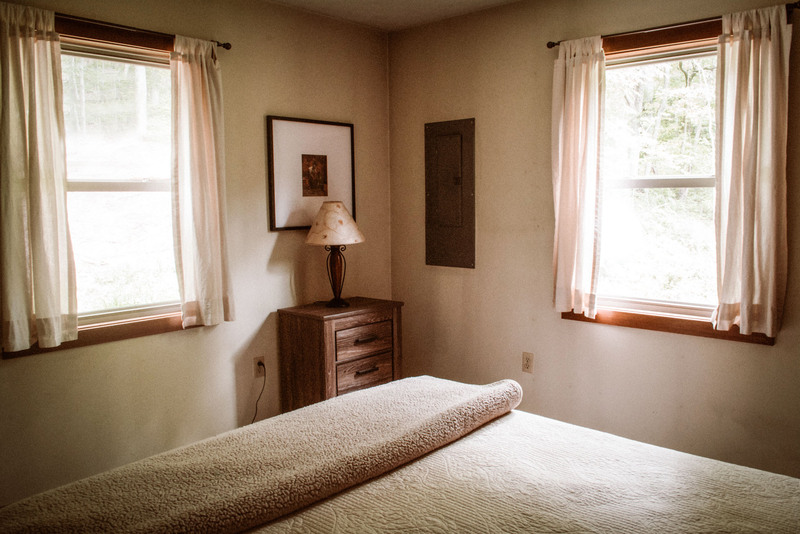 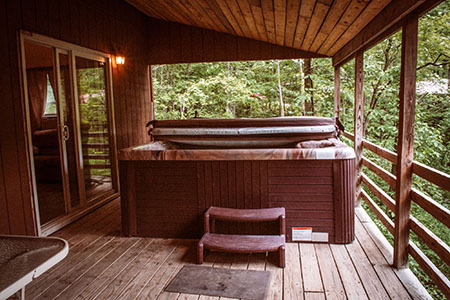 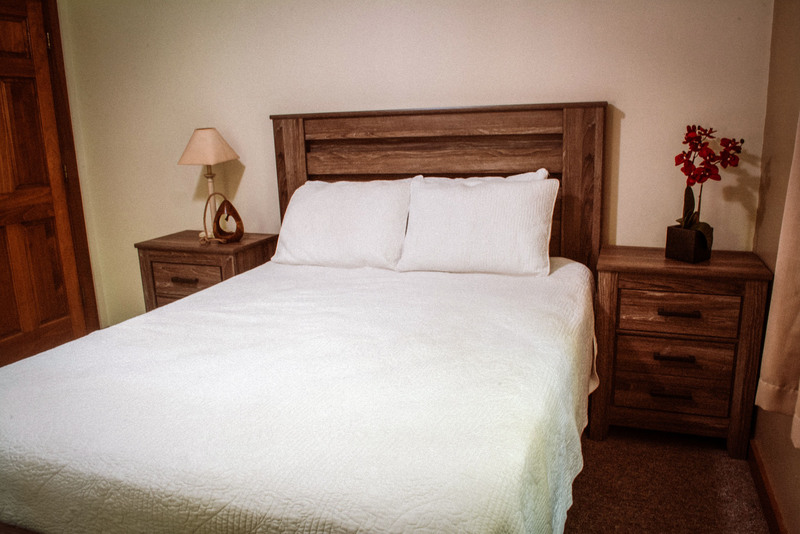 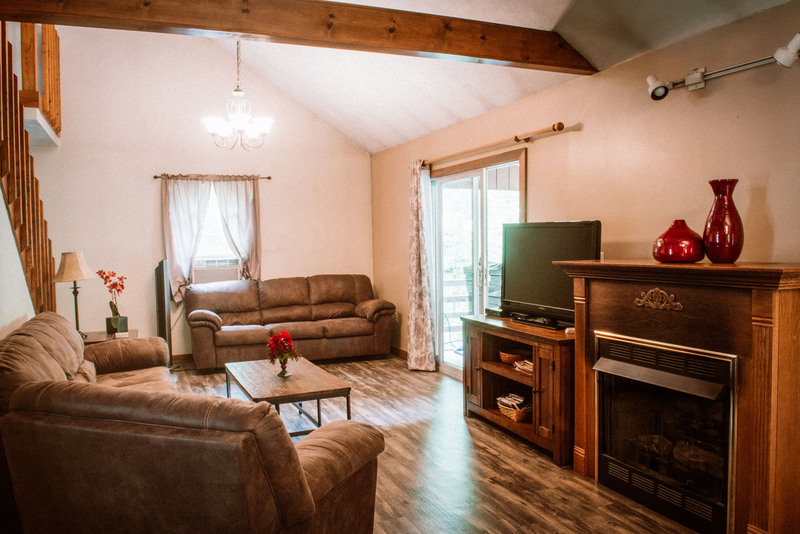 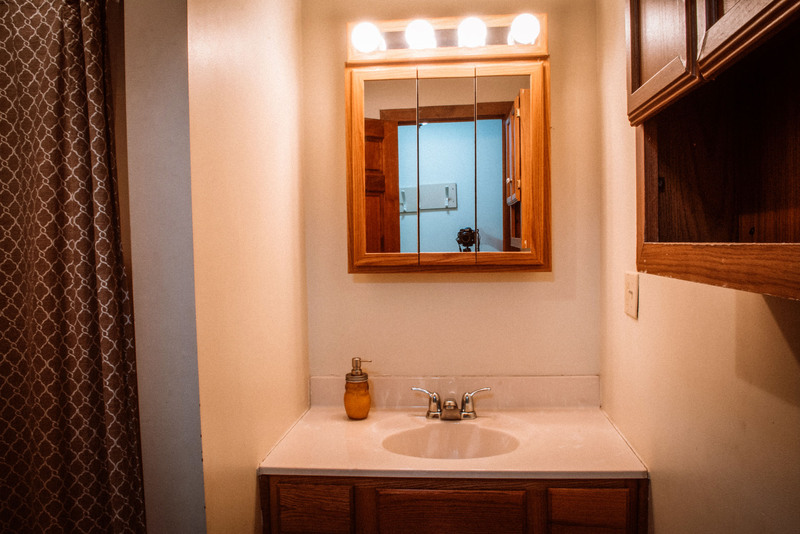 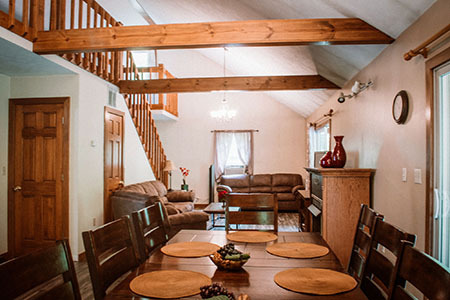 Weeknight pricing begins at $195 per night for the cabin with occupancy ranging from 2 - 8 with no additional per person fee.